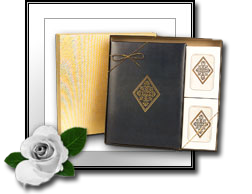 Memorial Stationery - Eternity Funeral Services, LLC. Our staff at Eternity Funeral Services, LLC. can produce your personalized service leaflets and acknowledgment cards, add a picture, emblem, or personal photo that brings special significance.